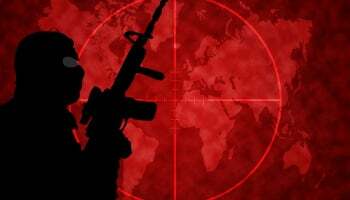 A plea signed by a great number of professors of international law and researchers entitled « A plea against the abusive invocation of self-defence as a response to terrorism » is circulating on the web since a few weeks. Among the signatories, which are more than 220 professors and almost 50 assistants/researchers (see the list available here at July 22, updated by the Centre de Droit International de l´Université Libre de Bruxelles, ULB) , we find distinguished names of international law community as well as younger researchers and assistants. The objective of this collective initiative is to challenge the invocation of the legal argument of self-defense by several States in the context of the war against ISIL or ISIS. As well known, the United Nations Charter is extremely clear on the unique exception to the prohibition of the use of force since 1945: self-defense (and military operations authorized by Security Council under Chapter VII of the Charter). However, since 9/11, various interpretations made by United States and its allies have tried to legally support unilateral military operations in the territory of a State without previous consent of its authorities. In a recent note published on the website of the European Journal of International Law (EJIL), we read that: “Particularly since 9/11, several States have supported a broad reading of the right to use force in self-defence, as allowing them to intervene militarily against terrorists whenever and wherever they may be. A consequence of that conception is that any State could be targeted irrespective of whether that State has ‘sent’ the irregular (in this case terrorist) group to carry out a military action or has been ‘substantially involved’ in such an action” (Note 1). The use of force in self-defense must be exercised in conformity with the conditions laid down in the UN Charter and international law. On this very particular point, it must be recalled that France presented at the Security Council a quite surprising draft resolution after Paris attacks of November 13, 2015 (see full text of the « blue version » circulated among delegations) avoiding any reference to the Charter in the operative paragraphs: it is possibly a great “première” of French diplomacy at the United Nations (Note 2). «Thus, numerous military interventions have been conducted in the name of self-defence, including against Al Qaeda, ISIS or affiliated groups. While some have downplayed these precedents on account of their exceptional nature, there is a serious risk of self-defence becoming an alibi, used systematically to justify the unilateral launching of military operations around the world. Without opposing the use of force against terrorist groups as a matter of principle — particularly in the current context of the fight against ISIS — we, international law professors and scholars, consider this invocation of self-defence to be problematic. In fact, international law provides for a range of measures to fight terrorism. Priority should be given to these measures before invoking self-defence . …. we consider that terrorism raises above all the challenge of prosecution and trial of individuals who commit acts of terrorism. A variety of legal tools are available in this respect. They relate first and foremost to police and judicial cooperation (chiefly through agencies such as INTERPOL or EUROPOL), aiming both at punishing those responsible for the crimes committed and preventing future occurrence of such crimes. Although there is certainly room for improvement, this cooperation has often proved effective in dismantling networks, thwarting attacks, and arresting the perpetrators of such attacks. By embracing from the outset the « war against terrorism » and « self-defence » paradigms and declaring a state of emergency, there is a serious risk of trivializing, neglecting, or ignoring ordinary peacetime legal processes”. It must be noted that international law scholars and researchers around the world can sign this document until next July 31. The text recalls a certain number of very clear rules that diplomats in New York know better than anyone, despite the ambiguous interpretations made by some of their colleagues, in particular since the beginning of airstrikes in Syria, without the consent of its authorities (Note 3). However, the mere fact that, despite its efforts, a State is unable to put an end to terrorist activities on its territory is insufficient to justify bombing that State’s territory without its consent. Such an argument finds no support either in existing legal instruments or in the case law of the International Court of Justice. Accepting this argument entails a risk of grave abuse in that military action may henceforth be conducted against the will of a great number of States under the sole pretext that, in the intervening State’s view, they were not sufficiently effective in fighting terrorism. It must be noted that, last February 2016, Canada new authorities decided to cease airstrikes in Syria and Iraq. We read on this official note produced by Canadian Armed Forces (CAF) that: “ In accordance with Government of Canada direction, the Canadian Armed Forces (CAF) ceased airstrike operations in Iraq and Syria on 15 February 2016. From their first sortie on 30 October 2014 to 15 February 2016, the CF-188 Hornets conducted 1378 sorties resulting in 251 airstrikes (246 in Iraq and 5 in Syria), expended 606 munitions and achieved the following effects: 267 ISIL fighting positions, 102 ISIL equipment and vehicles, and, 30 ISIL Improvised Explosive Device (IED) factories and ISIL storage facilities”. In 2015, a Canadian scholar concluded an extremely interesting article on Canadian airstrikes in Syria and Iraq in the following terms: “However, there is a further legal hurdle for Canada to overcome. Unless Canada can attribute ISIS´ attacks in Iraq to Syria, then the question becomes whether Canada may lawfully target ISIS, as a nonstate actor in Syria’s sovereign territory, using the ‘unwilling or unable’ doctrine to prevent ISIS’ extraterritoriality attacks against Iraq. This justification moves significantly away from the Nicaragua, Congo and Israeli Wall cases’ requirement for attribution. There appears to be a lack of consensus on whether opinion juris and state practice have accepted the “unwilling or unable” doctrine as customary international law. There is no escaping the conclusion that Canada’s air strikes on Syria are on shaky, or at least shifting, legal ground ” (Note 4). 1. See CORTEN O., « A Plea Against the Abusive Invocation of Self-Defence as a Response to Terrorism”, European Journal of International Law (EJIL Talk), July 14, 2016, available here . 2. See ou modest note published in France, BOEGLIN N., «Attentats à Paris : remarques à propos de la résolution 2249 », Actualités du Droit, December 6, 2015, available here . See also, after parliamentary debate in United Kingdom authorizing airstrikes in Syria, BOEGLIN N. «Arguments based on UN resolution 2249 in Prime Minister´s report on airstrikes in Syria: some clarifications needed », Global Research, December 3, 2015, available here . 3. On the notion of « unwilling or unable » State, justifying, for some diplomats, military operations on its territory without its previous consent, see: CORTEN O., “The ‘Unwilling or Unable’ Test: Has it Been, and Could it be, Accepted?”, Leiden Journal of International Law, 2016. Full text of this article available here . 4. See LESPERANCE R.J. , “Canada’s Military Operations against ISIS in Iraq and Syria and the Law of Armed Conflict”, Canadian International Lawyer, Vol. 10 (2015), pp. 51-63, p. 61. Full text of the article available here .